Tom Boeser* started in July of 1995 in a 2-bay shop built in the 1950's with a very small office and a dirt parking lot. 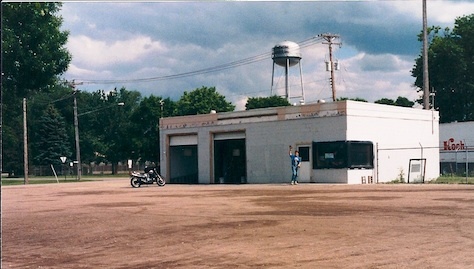 The shop moved into the current building on Highway 13 in Savage in March of 2000. Boeser Automotive now has six bays, which means you don't have to wait as long while still getting the highest quality auto care you can find. We now have a comfortable waiting room with a clean customer-only restroom. The staff now have their own break room and there's a private office for accounting and sales. We're really proud of the space we've created and we've seen how comfortable our customers have become with our growth. In the beginning, Boeser Transmission and Auto specialized in transmission work, especially in full transmission rebuilds. Several customers began requesting other routine repair and maintenance work. In 1998, the Savage Police Department entrusted us with the maintenance and repair of 7 of their police vehicles. Today, we maintain over 20 Savage Police Department vehicles. If the Savage Police Department can trust us, so can you. You don't have to go the the car dealer to get service on your vehicle! We have the equipment to access almost any vehicle computer system. By using many dealer scan tools, we can access and repair almost all computer related issues on the road today. Experience and Knowledge! We employ ASE certified technicians for all areas of work and our staff possesses over 100 years of experience in the automotive repair industry. We take pride in being able to pinpoint problems quickly so we can get you back on the road faster.